William Still was born in Burlington County, New Jersey in 1821, as the last of eighteen children of former slaves Levin and Charity Still. By 1844, Still moved to Philadelphia, Pennsylvania where he spent the majority of his life and where he was appointed secretary of the Pennsylvania Abolition Society. Still was the first black man to join the society and the first to hold this position. Still was also active in the Underground Railroad in the two decades between his arrival in Philadelphia and the end of the Civil War. Still became well known in various circles as a major “conductor” on the Underground Railroad, helping fugitives make their way to Canada and freedom. Still also campaigned for an end to racial discrimination in Philadelphia. In 1859 he organized the effort to end black exclusion from Philadelphia streetcars. This campaign was described in Still’s first publication, Struggle for the Civil Rights of the Coloured People of Philadelphia in the City Railway Cars in 1867. In 1871 Still became the first anti-slavery activist to document the experiences of fugitive slaves in his book The Underground Railroad, a work which explained the story often in the words of the participants in the effort to escape slavery. The book provided intimate detail on the workings of conductors like himself but it also provided numerous letters and testimonials from fugitive slaves to Still either requesting assistance or thanking him for his efforts. Even today, The Underground Railroad remains a major source for understanding this active and concealed resistance to slavery. 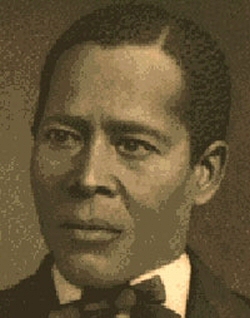 William Still continued to campaign for civil rights in Philadelphia as a researcher, writer, and activist until his death in 1902.